It's over 20 years since the waters closed over Robert Maxwell and few people working in publishing today remember him. The name of Pergamon Press, the academic publisher he co-founded, is now an imprint of Elsevier. Macdonald Futura - where Tim Hely Hutchinson, Anthony Cheetham and Rosie de Courcy worked and over which Philippa Harrison had presided for only a few weeks when news broke that Tuesday afternoon in November 1991 that Maxwell could not be found on his yacht, the Lady Ghislaine - is long forgotten, though Little, Brown UK, which Harrison conjured from its ashes, goes from strength to strength. Little is heard of the family, even of sons Kevin and Ian, and when Maxwell's widow Elisabeth died last week in the Dordogne, aged 92, it did not make headlines. 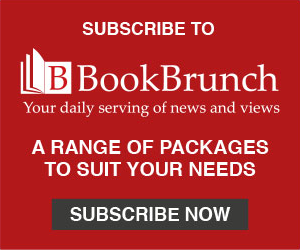 When she was widowed just a few months after a seventieth birthday party her husband could scarcely be bothered to attend, Betty Maxwell as she was known complained that she - effectively Maxwell's longest-serving employee - had been left penniless. Unsurprisingly, she received little sympathy - former staff from across her late husband's fallen empire had been deprived of their pensions. When the late literary agent Hilary Rubinstein took her on as a client, there was more than a rumble of discontent - certainly his offering it to Macdonald was deemed insensitive in the extreme. When Macmillan published A Mind of My Own in November 1994, three years after Captain's Bob's fatal late-night swim, it was not a bestseller though it did receive widespread coverage. I remembering interviewing Dr Maxwell (the title legitimately earned, aged 60, from Oxford) just ahead of publication. By that time, of course, she'd lost Headington Hill Hall ("the council house" as Maxwell called it is now part of the Oxford Brookes campus) and was living, it seemed, an itinerant life while she built a new home and a new life back in her native France. We met at Rubinstein's Holland Park home. She was tense and wary, formal and polite, demure in a black-and-white check suit adorned by a single strand of jet. She wore no wedding ring, yet she defended the man to whom she had been married for nearly half a century ("he's dead, so he can't defend himself") but said she understood those who were unprepared to forgive. Her book was, in its way, extraordinary. I doubt the title was meant to be ironic, but that was how it read. At its heart was a conundrum: how could this highly intelligent, sensible-seeming woman have devoted her life to a man who had been revealed - first in the press and now in her memoir - as a total monster? Leaving aside the not inconsiderable question of the missing millions (she was prepared to allow only that "time and facts may well prove that Bob was not fit to run a public company at the time of his death", though she thought the infamous DTI report "totally iniquitous"), Maxwell had been a monster who had consistently humiliated her, complaining about everything from her behaviour at dinner parties to her packing, her "failure" to fulfil his every whim. The more he abused her, the more she had been determined to earn his love - a task she likened to the labours of Sisyphus. "In order to retain his love, I was prepared to abandon my own personality completely", she wrote, quoting from letters in which she tried to "analyse why I have not been able to satisfy your material needs in every way." She wrote that she didn't like mending and ironing and tidying cupboards, "but since it has assumed such importance for you, then I am wrong and shall force myself to focus on your material well-being." The more he abused her, the more Betty was determined to "earn" his love. "I want to live for you, I want to drown my soul in your desires," she wrote in a letter. "You will only need to say what you want and it will be done, or to express a desire and I will satisfy it. Perhaps you will discover that the half-flayed created you have stripped naked still deserves to be loved." The problem was, she reflected, that both she and her late husband were similarly obsessive: "He was unable to compromise for less than perfection. I was also like this." And she allowed: "Now I think I ought to have left him at a time when it was obvious I'd never make it." But she didn't because "I really loved the man greatly, He was everything I had. Everything I did I did for him. I gave myself to him totally and fundamentally." Sometimes he would tell her "well done" and "just for those crumbs" it was all worth it. From 1981 he became "very difficult to live with", yet still she tried. Where once he'd phoned every day from his travels, now he scarcely bothered, but his wife would remain in the house awaiting a call. It was, she agreed, "absurd". Power-crazed, "sensitive to compliments", sometimes "sharp as a razor blade" at other times mentally absent, his last years were a mystery, even to his long- suffering wife. He'd once had "such lovely soft eyes" but now, "if they'd been revolvers they'd have shot you." When, in 1990, he told her to go, "I really thought he'd lost his marbles." In the last 18 months of his life, they saw each other just four times, the last time in New York a month before his death. The occasion was an Elie Weisel Foundation dinner in honour of the King and Queen of Spain, and Maxwell graciously allowed his wife to occupy a spare room in his vast suite. But they parted angrily when, having sent his butler back to London, he castigated the hapless Betty for failing to produce an early morning cup of coffee. You can't, she concluded, live with bitterness and regret. Maxwell must have been sick, and "how can you be bitter with someone who is sick?" 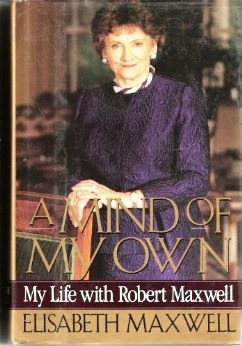 Elisabeth Maxwell hoped that her book would remind readers that Robert Maxwell did some good in life and also that it would be of help and comfort to other women who live with powerful men. "No one should be taken over lock, stock and barrel… That was a mistake," she conceded. "But there's something to say for real love; it is very enriching. There's nothing demeaning to love another human being to distraction… Love is never wasted. I still love him and I always will." Obituaries reported, however, that when pondering the great hereafter, she said, "God forbid that I should run in to him again."